Locality: United States, Colorado, Gunnison, "Hattie Sammon's Pasture", Powderhorn. Habitat: A swarm in alkaline soil. 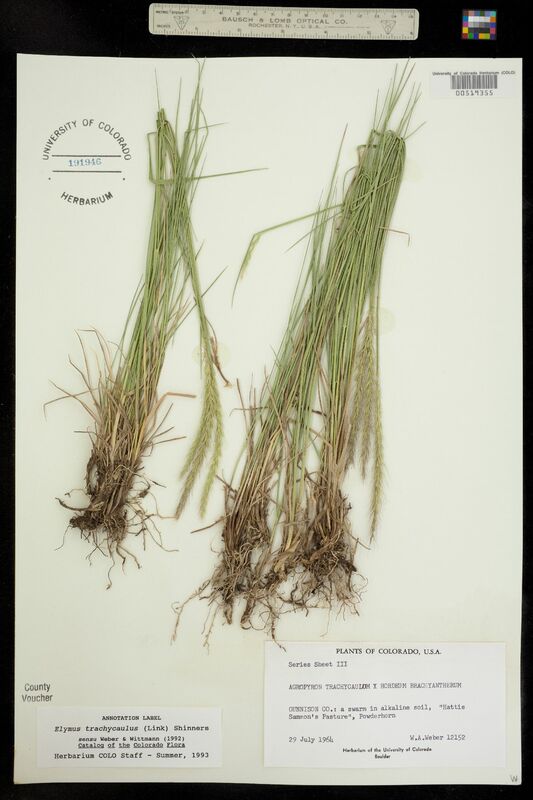 Occurrence Remarks: Original ID: Agropyron trachycaulum X Hordeum brachyantherum. Series Sheet III.